Rosenthal Automotive brings a new video review of the 2011 BMW 3 Series. 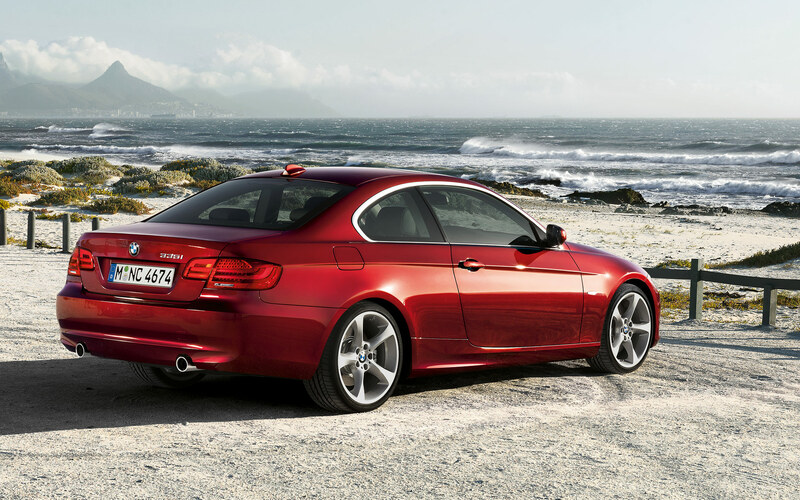 The model being reviewed is the BMW 335i xDrive, in the coupe variant. Along with the extensive and informative review, the fellows at Rosenthal Automotive have also produced some great footage. Let’s take a moment to reiterate some of the changes that are easy to see in this facelift: the front, lower fascia is now presented with subtle winglets on the air-dam, but more than that, the actual area for air flow is slightly larger than the outgoing design, also allowing for larger splitters at each end of the fascia. At the front-end, the corona rings angel eyes are now bright LED units. At the rear, there are also modified taillights, with the LED look and finish. BMW added their new ‘L’ shaped design theme to an all new, almost E46 LED taillight, underneath the Ls. Holding the exhaust ports is an all-new bumper with a horizontal expressive line that shows the wide back end. Another exterior element that stands out are the side-view mirrors, larger than in the pre-LCI model. All-new is the engine for the 335i model. Internally designated the “N55,” this turbocharged, all-aluminum engine features essentially the same “short block” and 3.0-liter displacement of its predecessor, but benefits from five additional years worth of development and refinement. The result is an engine that is more responsive, more fuel efficient, and cleaner-running than its outstanding predecessor, but preserves the previous engine’s output and soul: 300 horsepower and 300 lb-ft of torque, and a 7,000 rpm redline. The 6-speed manual gearbox – beloved by North American enthusiast drivers – remains standard, and the well-known 6-speed Steptronic automatic is optional, now featuring “pull-style” shift paddles on the multifunction steering wheel. Thanks for the tip Xavier!